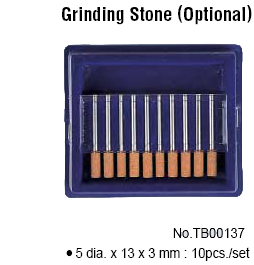 Smooth high speed rotation and low vibration enables precision grinding. 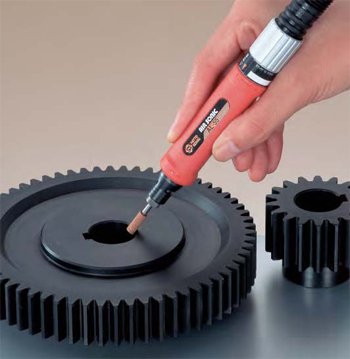 Stepless speed change from 0 to 56,500 rpm meets a wide range of grinding applications. Compact & light weight for comfortable operation over long periods of time. Triangular grip fits operator's hand. Special plastic grip prevents cold hands and absorbs vibration. HI-CUPLA HA-65SN : 1 pc. Mounted Wheel 5 x 13 x 3 : 1 pc. Spanner 7 : 1 pc. Spanner 7 x 9 : 1 pc.